design from this stunning Image Plate. - Nails Inc polish - Piccadilly Arcade. 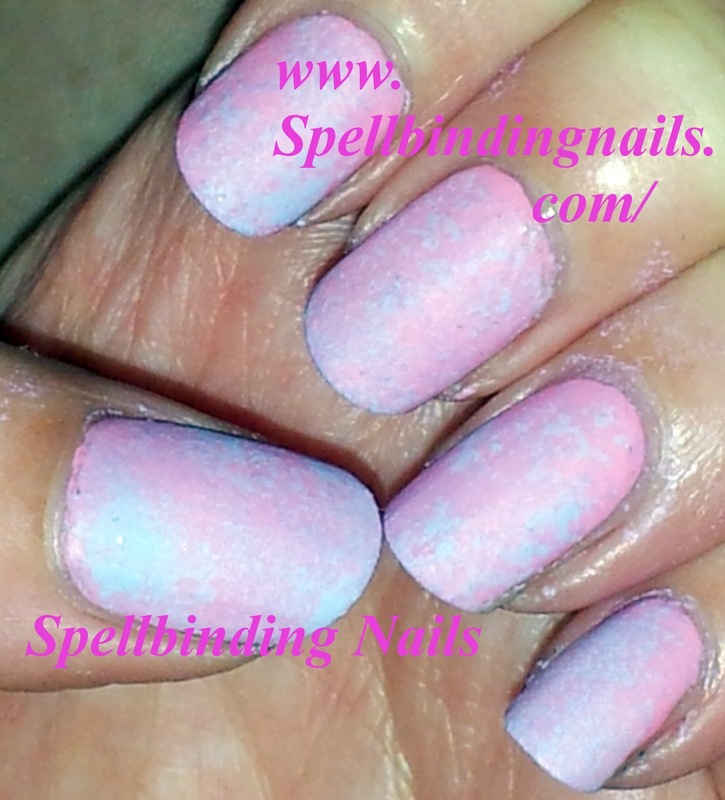 - La Femme Beauty - Lilac Cream Polish & Ice Blue Cream. 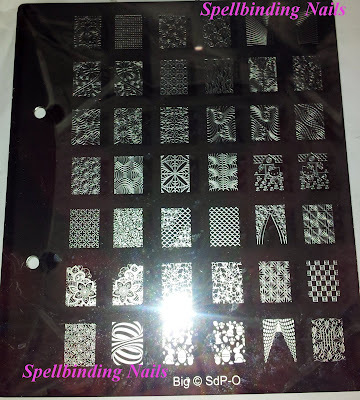 - W7 - Black ( For stamping). - One coat of Nails Inc's Piccadilly Arcade. 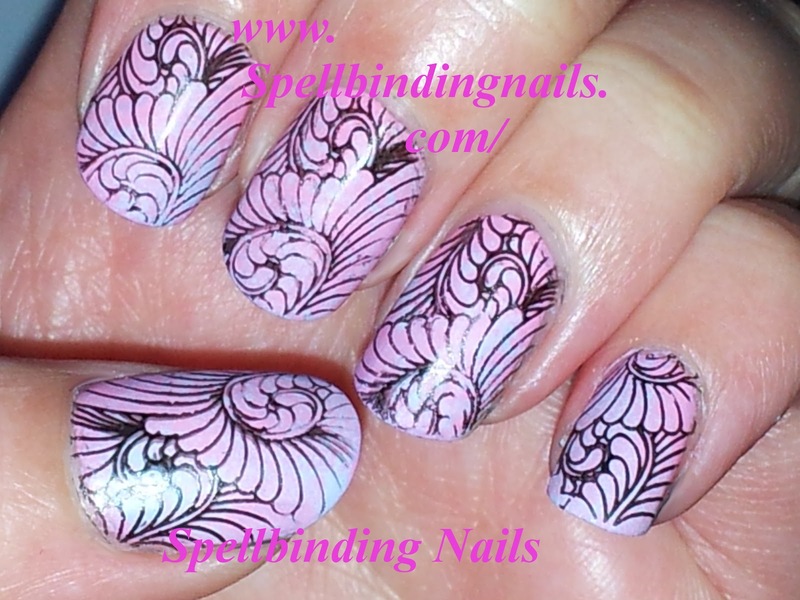 I really love how girly and feminine this manicure looks! My inventory should tell you what/how I feel about this brand. Tell me your thoughts on the Big SdP O image plate? P.s swatches on this plate are coming soon! Love the end result. Very elegant and not overgirly. I love stamping combined with other techniques. This turned out so lovely! Thanks for the inspiration. Just lovely. I love the combinations of colours and the pattern is so pretty. Love your manicure and I want this plate! Thank you =D - Everyone needs this plate! 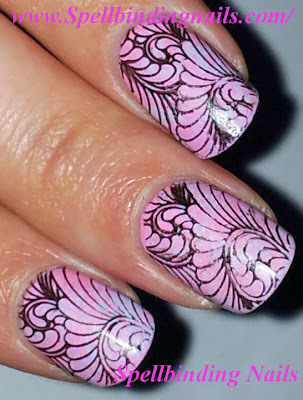 This is what makes me laugh--"I did a SIMPLE little manicure" this is SO lovely and looks super hard and complex--I love how stamping does that!!! 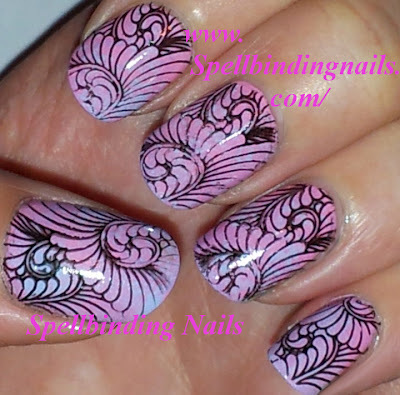 Great colors, great stamping image--great nail artist equals knockout mani! Very nice combination of sponging + stamping! Such an amazing mani. That plate looks awesome too! I really like the result. Very pretty! Nails Inc - My May Auto delivery from QVC.